Like all sporting activities (by that I mean. controlled movement which requires specific and learned activity) shoes can be an asset or drawback. Now that dancing has become popular again, there has never been a better time to review what the experts say about dancing shoes. Conventional wisdom prefers lower heels if dancing for long periods. Also shoes with straps are preferred to get a better fit with less foot slip. These are called ‘character shoes’ and help the foot and shoe act as one. 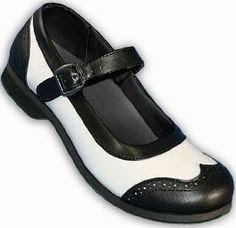 Unlike outdoor footwear the dancer wants to have as little friction between the sole and the dance floor as possible. This allows the dancer to spin; hence dancing shoes need leather soles or non-grip rubber soles. Glamorous footwear need to look sharp but if damage to the toes is to be avoided, then the shoe should have plenty of room for all five toes and some room for the foot to expand after a heavy session of dancing. This requires a soft upper, which can accommodate changes in volume. When properly maintained and lovingly cared for dedicated dancing shoes will last a lot longer than a pair used for every activity. Most competition dances are very superstitious and will have rituals they follow just like all competitors. Favourite shoes feature highly in the psyche. Tired or aching feet by the end of the night should not be ignored or borne stoically. A handful of table salt dissolved into a basin of warm water (46 degrees c) is the ideal medium for a footbath. 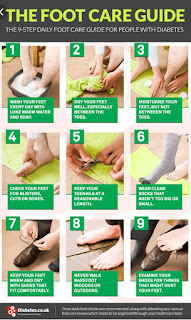 Bathe the feet for longer than 10 minutes. Application of a foot massage with cold cream is itself worth all the effort of the physical exertion of dancing. As with any sport it prefers a certain type of physique, chronic injuries weaken the architecture of the leg and feet and should be avoided if at all possible. This is not always possible so do not ignore repetitive warnings like arch fatigue, tight tendons, or ankle sprains. Most professionals have warm up and warm down exercises they complete at competitions. Injuries are easier to prevent than cure it has to be said and foot supports are common accessories. Sometimes to the novice it appears you need a degree in podiatry to make sense of the insole requisite array, as seen at your local pharmacy or sport shoe shop. Rely on the experience of other dancers who may have tried everything and have a magical combination. Usually quality retailers will have staff willing to share these secret messages. Remember you often only get what you pay for and be prepared to replace the cheaper inlay more frequently. Prescribed foot orthoses are useful when part of managed care but by themselves serve no purpose. If in doubt, see your podiatrist.